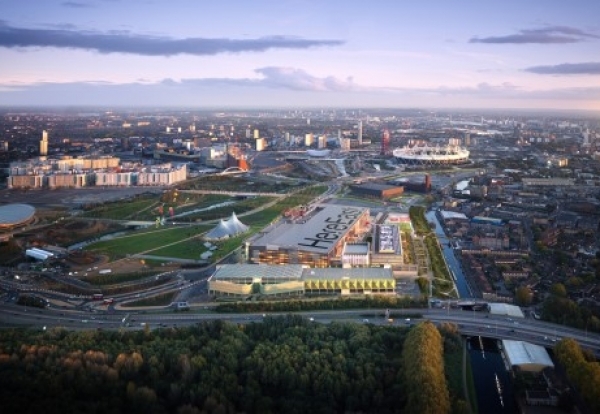 Laing O’Rourke is believed to have won the £150m contract to convert the former Press and Broadcast Centre on the Olympic Park. The Enquirer understands that O’Rourke has edged-out rivals Mace and Carillion to convert the media centre into a new home for the creative and digital industries. The decision will be a major blow for Carillion who were the original builders of the £400m media centre. It is the second time a major Olympic conversion job has not gone to the original contractor. Balfour Beatty is currently converting the main Olympic Stadium which was built by Sir Robert McAlpine. Client iCITY is believed to have broken the work down into two contracts which O’Rourke will now start work on this summer. The main reconfiguration contract is worth £90m. A separate £60m fit-out deal for main tenant Infinity will allow the firm to host a massive data centre at the site. a 850,000 sq ft building housing educational space, broadcast studios, office space, and a state-of-the-art data centre. iCity is a joint venture between property specialist Delancey and data centre company Infinity SDC.